Take a look at the web page set up by Onni that looks to raise support for broadening permitted uses on the waterfront at the BC Packers site. The buildings are already under construction. 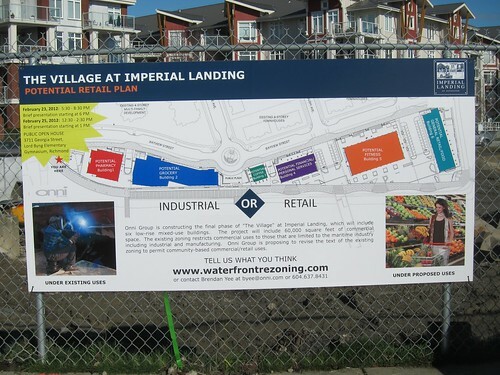 The idea that these will accommodate Richmond’s preferred uses “marine industrial” is fanciful. Onni’s is even worse. Here is what I submitted. What do you think? The question is disingenuous – and the use of a banner stating “I support” that remains in place when looking at any page (and no banner for any other position) shows just how one-sided this process is. No information is presented on need. Nor is any information presented to assess what other uses might be appropriate. Is the best you can come up with a simple repetition of every other suburban shopping centre? Steveston is a destination full of people wandering around and looking for something to do. Apart from a few pubs and many restaurants – plus the boat yard at one end and the cannery at the other – there is in fact very little for visitors to do in Steveston. Most come to eat fish and chips, or drink coffee. Onni needs to show that it understands what makes for destination attraction, to build Steveston’s appeal and retain visitor interest. Ordinary retail is just not good enough. We need something as interesting as Granville Island – but sufficiently different and preferably tied into to the history of the place. Go and do some research – talk to the Rouse Corporation (Faneuil Hall in Boston) or the people who did Covent Garden in London. I do not support your proposal. Nor do I think that the City’s idea of marine industry is viable. What we need here is some imagination. Maybe the Rouse Corporation is not such a good place to go. The Architect’s Newspaper Blog looks at what is now proposed for New York’s South Street Seaport now that ownership has changed. The design is a huge departure from the desolate barn-like mall developed by the Rouse Corporation in the 1980s, where to this day nachos and tropical cocktails remain de rigueur. The new owner, the Howard Hughes Corporation, hopes to bring New Yorkers back to one of the most spectacular sites in town, while welcoming tourists and not quarantining them in a thematic trap. Speakers at a science symposium in Vancouver on Sunday said projections of a one-metre rise in sea level are too conservative – and that continuing international failure to deal with global warming likely means a “multi-metre” rise in ocean height by the end of this century. Delta, with water on three sides, isn’t alone in facing this problem. In Metro Vancouver, 250,000 people live on the delta plain of the Fraser River, including residents of Richmond and most of them are living below the high tide line. What we need to see is a concerted effort – not just from one or two municipalities – and at the sort of investment level that requires significant funds from senior governments. The feds and province of course are very adept at coming to the aid of communities after the floods have occurred. Last minute efforts at sand bagging by our brave troops and local people always gets the media attention. The general air of smugness that has emanated from Richmond City Hall on this issue up to now should certainly be dissipated. I suppose the port will need to be involved too since their wharves will be underwater too even if it does mean they will have to worry less about keeping enough water under the ships’ keels. How many audits are enough? TransLink has already had two performance reviews done since 2008, one by KPMG that it initiated itself and which Mr. Fassbender said cost about $500,000, and another one ordered by the province through the comptroller-general’s office. In addition, there is another one under way as the province’s transportation commissioner assesses whether TransLink should be able to impose a 12.5.-per-cent fare increase. Audits do not come cheap, and there has to be a point at which one doubts their value for money – if you take the results of the first two seriously (and Translink did – cutting “$60-million in spending after the KPMG review”). The Mayors have been annoyed for a while now – quite rightly – first for being shut out of much of decision making by the creation of the “professional” (unelected) Board, and secondly for having a new level of auditing imposed on them by the Province. As Gatean Royer used to point out when he was City Manager at Port Moody, municipalities have been very good at getting good value for money for the services they deliver. The Province, of course, has a much shakier record – which was one reason why steps were taken to move operations like BC Ferries away from political influences. The current state of BC Hydro is also one that shows how political considerations can play havoc with an enterprise’s bottom line. Initially, the Mayor’s said that the new municipal auditor ought to have oversight over Translink too (presumably forgetting the role of the comptroller general and the transit commissioner) but the province said that the new office would be too busy. Ms. Watts has targeted specific spending on items such as studying whether to build a gondola on Burnaby Mountain or offering key stakeholders in the region a donation of $100 to the charity of their choice for filling out surveys. Except that the study showed that a gondola would actually be a good investment – as long as you ignore the arbitrary 25 year life imposed and use something more realistic like 30 years. Market research firms typically offer extremely small incentives for filling out surveys – especially on line, where often it is some nebulous “chance to win” something more attractive, also popular with charities. With nothing added by the article to actually back up that claim. Translink has not always made good spending decisions – the Golden Ears Bridge being one of the worst in recent years. But a lot of the bad decisions stem from the provincial government and its frankly biased promotion of P3s. The Canada Line decision making was driven by the Olympics – and the airport. 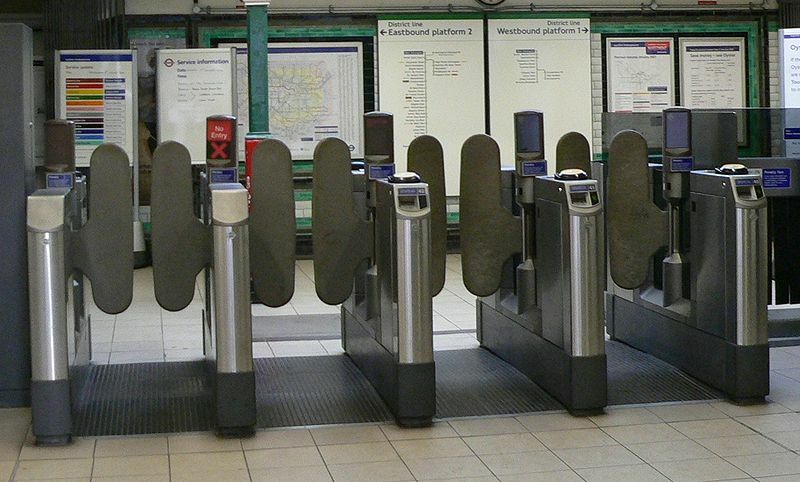 The fare gates would not be going in if the Province and the feds had not put up a lot of the money. But there are also day to day operational decisions that everyone sees and have the knowledge and experience to recognize as wasteful. This is the point where an audit could actually go badly wrong. Auditors tend to be accountants – and they have a tendency to believe that their “usual principles” have universal application. There may well be some money to be saved by cutting the number of vehicles on a route – but if service becomes unreliable it starts losing patronage very quickly. Much of the decline in public transport use in my lifetime occurred as service was cut and reliance on private cars increased – and while that seemed to make sense at the time, the decline of the quality of life in urban areas, and impossibility of accommodating increased urban vehicle traffic through road building, meant those decisions had to be reversed. It may actually not be possible to get enough transit priority on the street to cut service costs – especially downtown. It may actually not be very clever to re-open negotiations with the union if things are going to get heated again. 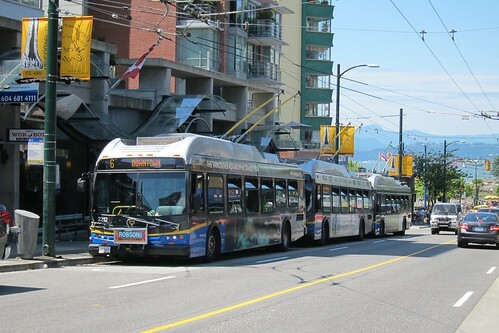 The last transit strike lasted four months and achieved precisely nothing – other than a token acknowledgement that Translink did have the right to contract out its services, it just did not dare use that right with the main bus services. There is a reason why some services are not operated exclusively by the private sector. That can be simply stated as the need to recognize that there are worthwhile objectives that cannot be easily translated into financial considerations. Or where financial considerations are contrary to the general well being. Education and health are the most obvious examples – though the private sector keeps pushing hard for a bigger share, it has generally been resisted, not least on the evidence of its own performance. I would say that the removal of public sector provision has been disastrous in Canadian housing – and the way that private sector prisons work in the United States is appalling. Transit used to be a business – but businesses generally gave up when they could not compete with the private car even when they had considerable protection from regulation. The privatization of public transport in Britain is an object lesson in untended consequences – and is being slowly but surely rolled back. The key to privatization being, of course, the very narrow focus on balance sheets – and the loss of a range of social and environmental benefits. It’s just another indicator of how the relentless discrediting of government results in worse policy decisions when politicians have no choice but to respond to the individual stories that start with an assumption of incompetence – and don’t want facts or trade-offs to get in the way. Every morning I scan the main stream media for likely news stories. The census is big today of course but without the mandatory 10% long form, there is no data on commuting. So while the growth of Chilliwack and Squamish gets noticed, no-one is talking about why. I doubt that job growth in either place kept pace and freeway expansion probably played a role but we will not know for a while – at least in terms of hard statistics. Port Moody grew because they thought they were going to get the Evergreen Line. I also get various summaries – the Sightline Daily being one of the most relevant for my purposes. And that coughs up two stories. That image is needed to illustrate “The Great Carbon Bubble” from the Nation. North America on January 4 is not only cloud free, it is nearly snow free too. But the media has stopped talking about climate change. The article is about why that would be: basically the big oil companies are making more money than ever, and have huge proven reserves, which must NOT be burned if we are to escape disaster. 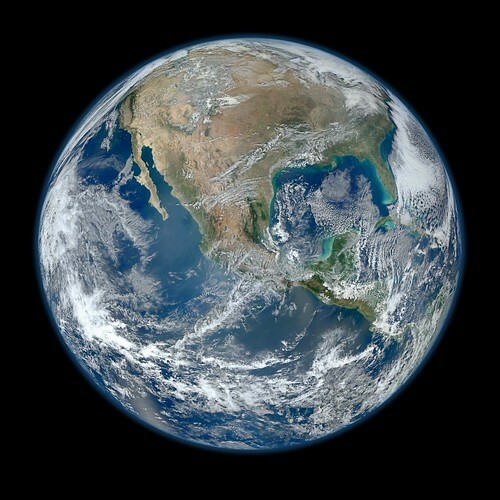 Climate change is already upon us – that’s what the picture above shows. The data is also clear – though of course many are paid to misinterpret it – and the Republican candidates – and our elected leaders at both provincial and national levels – are all denying the reality. But of course there are small victories. Vancouver has achieved its Kyoto target even if Canada greatly exceeds its own. More people are refusing plastic bags and buying local: many are riding their bikes more often. Except of course The Planet Doesn’t Care About Your Eco-Friendly Lifestyle. Partly because “you think that single act of environmental kindness makes up for other sins” (‘single action bias’) and secondly you worry so much about the small things that you miss the big picture. We need “smart economics” (according to Gernot Wagner). Which may be my new favourite oxymoron – replacing ‘military intelligence’ and ‘gourmet hotdog’. Cap and trade and carbon taxes anyone? Nathan Pachal has asked me to post a press release from South Fraser OnTrax. They have invited Todd Litman to debate Smart Growth with Randal O’Toole. Even if I was in town on that day, I would not be going. I have the greatest of respect for Todd but I have nothing but contempt for Randal O’Toole and the Cato Institute. There is, in general, a desire to see “both sides of the question” – media are required to provide “balance” – but this has been exploited by the rabid right to present arguments on issues where there really isn’t any controversy. No-one with any understanding of the word “truth” doubts that smoking causes lung cancer – and a wide variety of other serious diseases. The methodology espoused by the tobacco industry to fight off legislation limiting its activity have been emulated by the corporations that exploit fossil fuels – and our willingness to believe comforting falsehoods. The scientific consensus on the link between fossil fuel use and climate change is overwhelming and the need for action is desperate. Yet institutions and individuals have been paid handsomely by the vested interests who profit from peddling tobacco and oil to create the illusion that there is some doubt about these linkages. In the case of the South Fraser, our provincial government has determined that there will be little or no Smart Growth there. The freeway is being widened, there is no prospect of any significant transit alternative – such as low cost light rail using the former BCER Interurban track. And where there is no adequate transit you simply cannot expect Transit Oriented Development. It did not matter that the arguments in favour of highway expansion were based on fallacies: nowhere, anywhere has ever built its way out of traffic congestion. Increasing the size of roadways in urban areas simply expands traffic demand. Where people can drive but have few options that work for them, they will drive. So it does not matter what has been promised – or even what low cost palliative is offered by Translink in its plans – we know the shape of things to come in Surrey and Langley, and that is more of the same. So what is the point of a debate? The facts were ignored. Reality has been set aside. We will continue to do what we have always done and we expect a different outcome. If there is any point in attending such an event I suppose it has to be its entertainment value. Todd Littman is a very good speaker and I expect he will have the best arguments, since anyone who looks at these issues objectively has to agree that Smart Growth is one of the few things that we can do that will make a difference in the suburbs. And, of course, we can equally predict what Randal O’Toole will say. If you haven’t heard of him I suggest you start with this wiki entry about him (and its footnotes of course) and the Cato Institute. Both are very careful to be fair and balanced. LANGLEY, With the Metro Vancouver region set to grow by another 1 million people over the next 20 years and with most of that growth set to occur in the South of Fraser, there has been a call by many academics and urban planners to change the way we build our communities. South Fraser OnTrax advocates for smart growth design principles such as making transit a priority and building neighbourhoods that provide a variety of housing options, from single-family homes to apartments. OnTrax believes these principles will protect the environment, human health, and our agricultural land, but not everyone shares this belief. Todd Litman of the Victoria Transport Policy Institute, whose research has been used by governments worldwide, will be debating Randal O’Toole who is a Senior Fellow at the Cato Institute and who has also taught environmental economics at Yale, UC Berkeley, and Utah State University on the future of land-use and transportation planning in the South of Fraser. Litman is a strong proponent of smart growth principals and high-quality public transit while O’Toole has been an outspoken critic. OnTrax with the support of a City of Langley grant will be hosting this debate on Thursday, February 23rd from 7:00pm to 8:30pm at the Township of Langley Municipal Hall (20338 65 Avenue.) This free event is open to all members of the public, who will have the chance to hear both sides of the debate and have the opportunity to question Litman and O’Toole. Seating is limited and reservations are recommended. Please visit southfraser.net or facebook.com/events/317650071605846/ for more information and email southfraserblog (at) yahoo.com to reserve your seat.